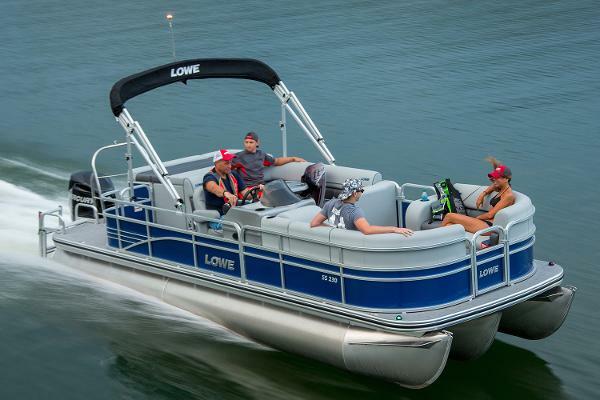 2016 Lowe SS230XD With an extended deck for easy water access and with a capacity for up to 14 passengers, the Super Sport 230 XD pontoon boat extends the amount of fun your family and friends can pack into a day. Enjoy premium amenities like a large sun deck pad and Bluetooth®-ready Jensen stereo. Lowe Boats’ legendary reputation for having the highest construction standards has been reinforced through our 26 Customer Satisfaction Index Awards. 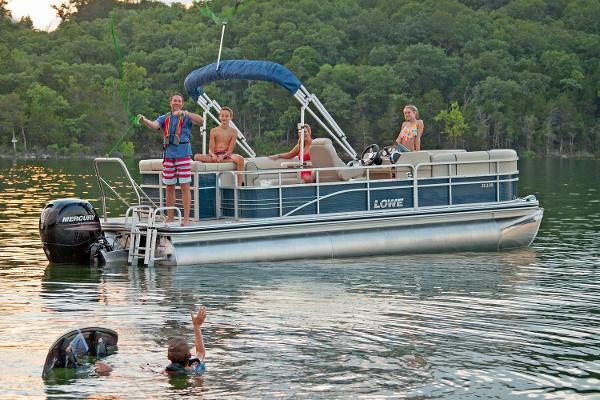 Amp up the action and take the helm of a fast, fun Lowe Super Sport pontoon boat. Please note: This boat model may or may not be in-stock. A Nationally Advertised Price, if listed, may change without notice or include accessories not fully described herein. Please contact your local, authorized dealer for exact details on model availability and package pricing. 2016 Lowe SS 230XD XL Triple Tube Pkg. Model SS 230XD XL Triple Tube Pkg. 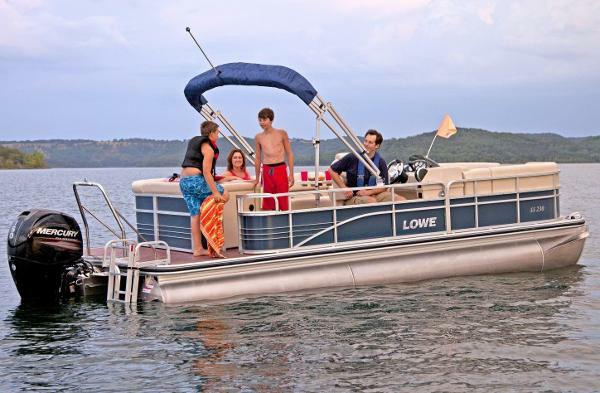 2016 Lowe SS230XD With an extended deck for easy water access and with a capacity for up to 14 passengers, the Super Sport 230 XD pontoon boat extends the amount of fun your family and friends can pack into a day. Enjoy premium amenities like a large sun deck pad and Bluetooth®-ready Jensen stereo. Lowe Boats’ legendary reputation for having the highest construction standards has been reinforced through our 26 Customer Satisfaction Index Awards. 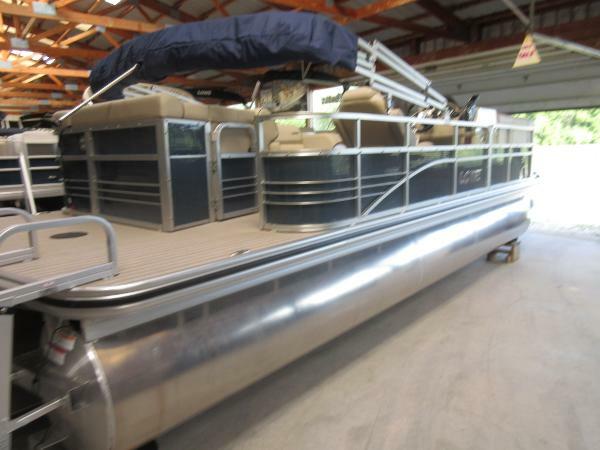 Amp up the action and take the helm of a fast, fun Lowe Super Sport pontoon boat. 2015 Lowe SS230XD Super Sport This boat model may or may not be in-stock. Please contact your local, authorized dealer for more information. With an extended deck for easy water access and capacity for up to 13 passengers, the SS230 XD extends the amount of fun you can pack into a day. Invite your whole crew, and enjoy premium amenities like a large sun deck pad and Bluetooth-ready Jensen stereo. 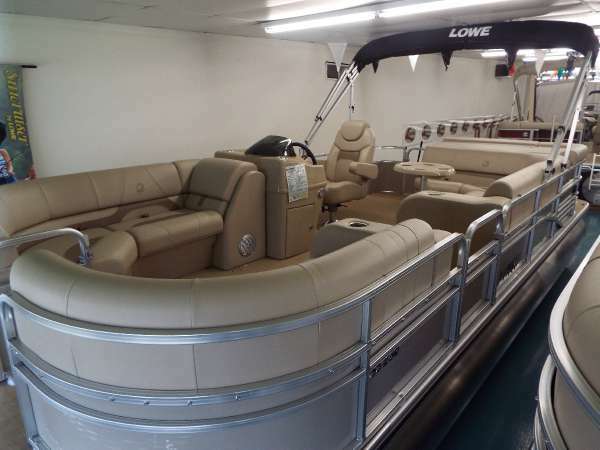 Features include: 25" diameter high-buoyancy pontoon logsCapacity for 13 passengers to ride in comfortFiberglass reinforced acrylic console w/ gaugesBarrel helm seat w/ swivel & sliderJensen® MS30 Bluetooth-ready AM/FM stereo w/ speakersStern “L” group seating w/ under-seat storageStarboard bow chaise loungeLarge round pedestal table w/ drink holdersStern entry w/ heavy-duty boarding ladderHeavy-duty 9' Bimini top in choice of 3 colorsOPTIONAL XL PERFORMANCE PACKAGE: 25” center log, rough-water pkg. w/ lifting strakes & spray deflector Lowe factory packaged boats are available with various horsepower Mercury® outboards. Standard equipment and options may vary from model to model.